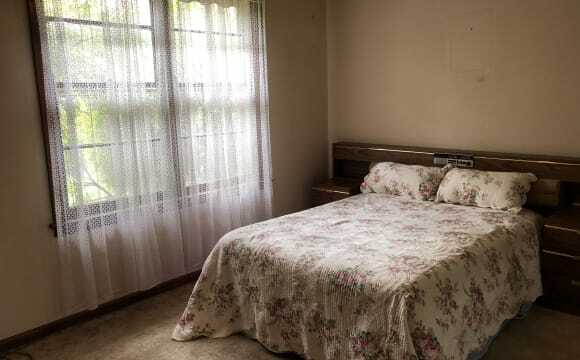 A room available in a three bedroom house in Heidelberg. 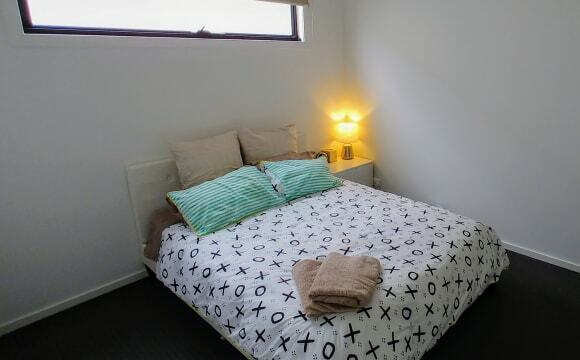 Located within walking distance to La Trobe Uni and Northland shopping centre. The house is fully furnished, including a washing machine and other necessities. 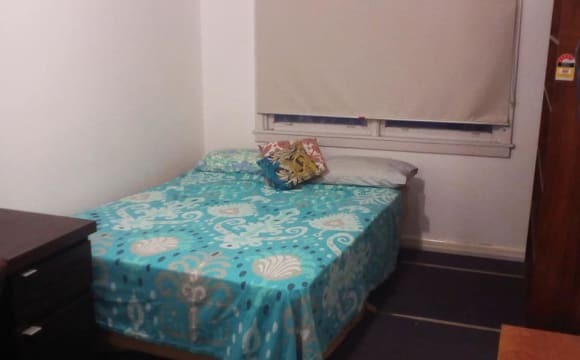 The Room available from 13/5/2019 Fully Furnished 1 person only no couples .. 1 month bond in advance $160 per week that includes everything: Water Internet Power Gas If you are interested contact me at any time to inspect the room and meet me! Convenient Location. 20-minute Walk to La Trobe University. 20-minute Walk to Northland Shopping Centre. 20-minute Walk to Bell Street Mall. Located within very short walking distance to Bus Stops for Buses 250, 350, 550, 551. Strip of Shops located nearby. Pets allowed. Large Backyard and Shed. Vegetable patch if you like gardening. Gas heating for winter. The room is big, the house is private, on a quiet street, close to parkland, and safe. Furniture available for room if desired (Double Bed, Mattress, Bookshelf, Chest of Drawers, and Desk). Bond is actually $478, but cannot change it below. Note: - Not looking for couples as house is nearly full - All current tenants are students/ young adults - One of the current tenants has a cat and does not want other pets Please take theses factors into consideration Room 1 ($160 p/w) - Occupied (M) Room 2 ($160 p/$230 p/w) - Available from 27/04/19 Room 3 ($160/$230 p/w) - Occupied (M) Room 4 ($170/$240 p/w) - Occupied (F) Individual rooms available for rent in the suburb Heidelberg West. 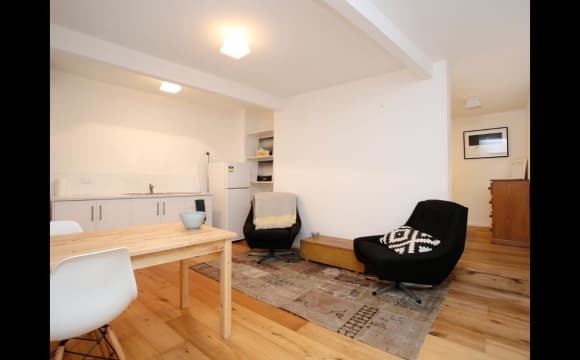 Suitable for all types of individuals including students, families or a group of friends looking to move in together. 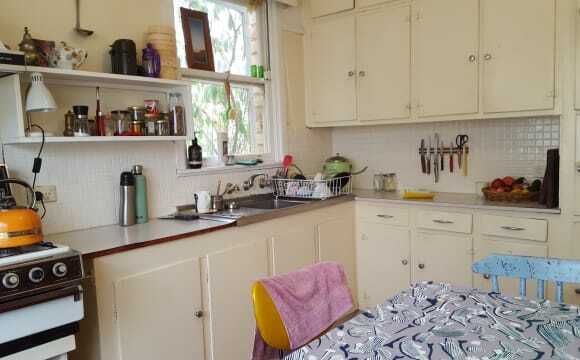 Close to shops, parks and Latrobe University. House is fully furnished. Kitchen has been recently renovated with brand new cook-top and high tech oven. Also has a rice cooker, coffee cup machine, dishwasher, big fridge and an incredibly large pantry - great for chefs or food lovers. 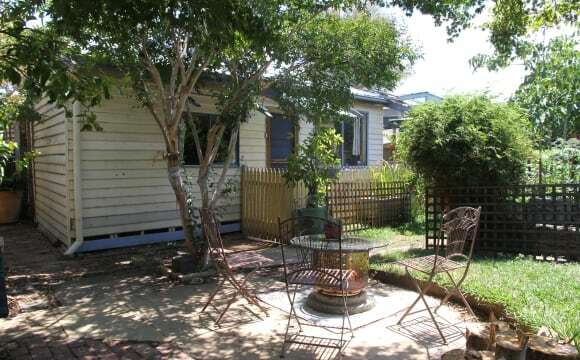 Light filled rooms with large and secure backyard, two toilets, and spacious living area. Home is secured by digital locks at each entry and individual room locks can be fitted at tenants request. Access and public transport is a breeze as the property is located only 10m from the 250 and 350 bus stops and 50m from the 550 stop. Latrobe university is only a 2 minute drive away and North land shopping center and the local shops are just around the corner. Landlords are flexible, understanding and able to accommodate tenants requirements. Inspections are always welcome. 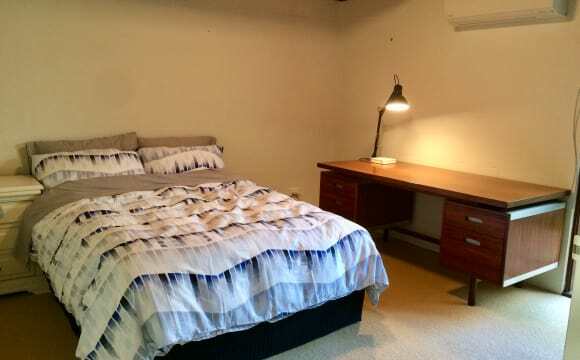 Awesome room in Heidelberg West share house for rent! Walking distance to La Trobe University plus heaps of buses, Northlands shopping centre and Olympic Village Leisure Centre (pool and gym). 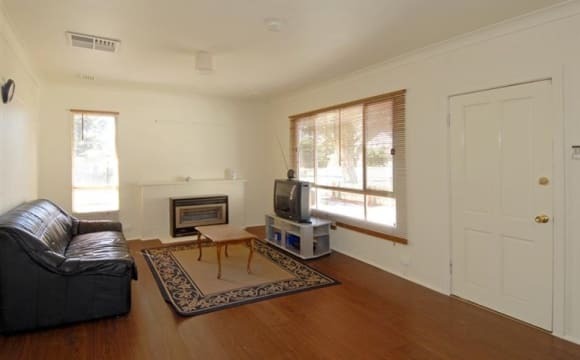 The house has a gas log fireplace and a massive garden backing directly onto the parklands and Darebin creek trail. Room is $150 per week ($650 per calendar month). Private secure rooms in convenient location. Close to shops, hospital and public transport. Bus stop right outside property. Generous private lockable rooms provided fully furnished, including desk and fridge. Shared fully equipped kitchen and laundry facilities. Beautiful 2 year old house that an unfurnished bedroom has become available in! Super clean, modern and honestly just the best place to live! Fully equipped with heating and air conditioning and is in a great neighbourhood with plenty of parks and ovals around! There is a pretty rad dog living here. As well as three pretty cool humans. We're right next door to a sweet cafe as well. We're pretty laid back and friendly. Very queer friendly house as well. Enjoy socializing but also playing video games and watching Netflix. Any other enquiries please message! We are looking for a responsible and mature non-smoking person, to move into a single room bungalow with separate back yard entrance. Suitable for independent living with separate gas billing, including gas heating and cooking. A fridge can be made available if required. The back yard includes 1 dog (poodle - well behaved) and a garden. We prefer a tenant who is ecologically aware regarding the recycling of household waste. There is a separate private court yard attached with the bungalow within a fenced perimeter, including a separate gate. We are a family of 4 living peacefully. 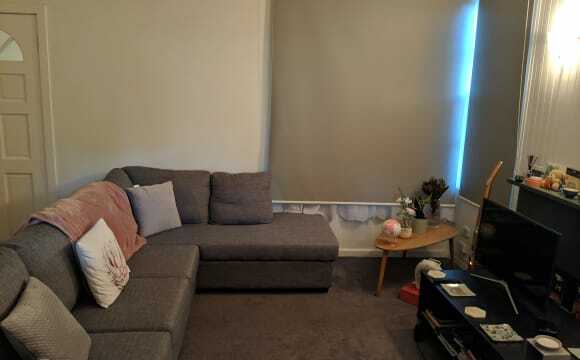 FOR RENT: 3 Bedroom Whole House in Heidelberg Heights, $385 week, $1673 month, AVAILABLE 1/5/2019 OPEN INSPECTION: Please send me - background info of each applicant, moving in date, how long you'll stay, working info, rental history, how many people living in house. TENANTS: Suit 2-3 people or couple with kids. Working full or part time. Student with part time job is ok. Pay rent on time. Keep house clean. No sub let. TRANSPORT: Close to bus stop (Bus 250 to city), short walk to La Trobe Uni &amp; Melb Polytech. Nearby Rosanna railway station, Aldi supermarket, Northland shopping centre, Austin hospital. RENT &amp; TERM: $385 week, $1673 month. 12 month lease. One month Government bond. Rent exclude water, gas, electricity, internet. FEATURE: 3 bedrooms,1 big living/dining room,1 big kitchen, 1 bathroom, separate toilet, laundry room, garden shed, big front &amp; back garden. No pet allowed. No smoking inside. 3 car parking space in driveway. 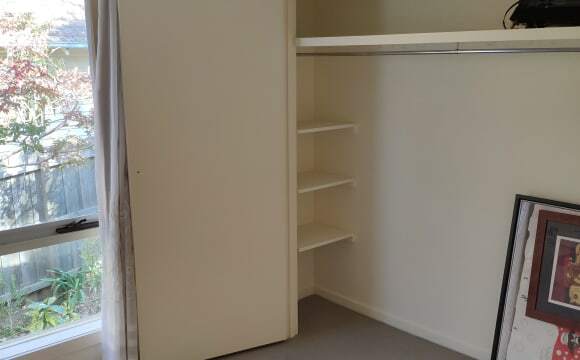 FURNITURE: 3 big wardrobes, split system (hot &amp; cold) in living room, gas stove &amp; oven. Pls bring in own furniture. Hi there! I am looking for a housemate to share my townhouse in Heidelberg Heights! You'll be living with me, Kaitlan, a full time nurse and soon-to-be part time uni student as well. This property is a bright, open 2 bedroom townhouse that was built in 2013. The house is modern and clean, with a big upstairs bathroom that boasts a seperate shower and bath with a large vanity. Downstairs is a large, open space that is furnished with a laundry and seperate toilet. We have a small backyard that is a great place to spend a sunny afternoon. Your room is a spacious, unfurnished bedroom with a BIR with double mirrored doors. The house itself contains ducted air conditioning and ducted heating. There is an attached remote control single garage that is available to you as I do not have a car. The location is a 15 minute walk to Heidelberg station and a 5 minute drive to Northland Shopping Centre. There are bus stops a few minutes walk away that take you to Northland Shopping Centre and La Trobe University. There are plenty of cafes around, including one that is just a few houses down! There is also a gym just around the corner. Rent is paid on the 10th of each month and is $890.00 each. Internet and all bills will be divided by two. Bond is one months rent which is transferred to the outgoing tenant. Large Home 2 double bedrooms. Rent: 1person $230; couple $300. Bus close to La Trobe University, Austin and Repat Hospitals, across the road from Aldi and other shops, walk to Ford Park. Bus is directly outside the house. Off street parking on property. Big peaceful private backyard and a large front yard. Air conditioning and central heating works beautifully. 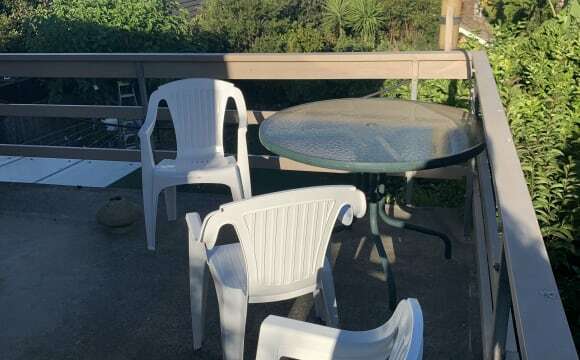 Furnished and option to bring own furniture. Very clean. Lots of storage and built in robes. Washing machine and dryer. Everything you need to move in. Double brick very quiet house. Amazing location. Room available in a shared apartment. I am a female in my early thirties and I have a rescue dog named Shakira who also lives in the apartment. Access to visitor parking, gym and pool. Room with double bed and own tv. Large wardrobe available. No window in the room but it’s not noticeable. Clean, bright apartment. Washing machine facilities available. Stunning views of the city. Communal lounge available as well as private bookings available. Communal garden with bbqs. Ten minute walk to Heidelberg Train Station. 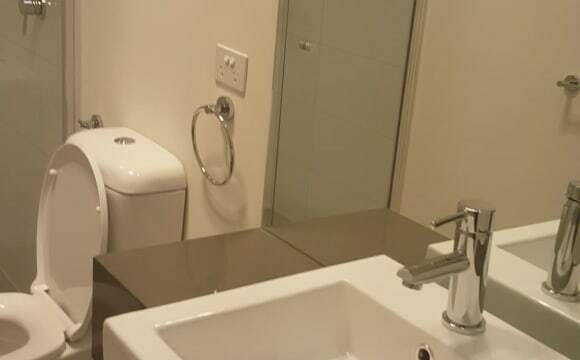 Apartment situated between Heidelberg and Ivanhoe so easy access to great cafes, shops etc. Netflix included in rent. Water and electric bills not included in rent and will be shared depending on length of stay. Unlimited NBN access (included in rent). The pool and gym are so handy and there are lots of other communal spaces in the apartment block available if you need some quiet time or space including outdoor areas. Air con available in lounge area. There is also a comfy lounge and TV area in the apartment as well as the communal lounge on the 4th floor. 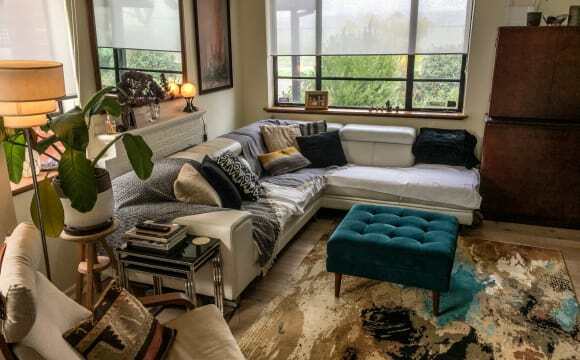 I'm currently looking for a new flatmate to fill a 2 bedroom villa/townhouse located in Preston behind Northland shopping centre. It is a 2 bedroom place with open plan kitchen/living/dining, 1 bathroom (good size), small backyard, driveway parking, ducted heating, large size pantry, laundry, gas stove top &amp; electric oven. Bedroom is a medium size. It is a single story dwelling The house is a short walk to the bus station and 15 min walk to the 86 tram line. The house is furnished with basic furniture, washing machine, fridge, oven/stove. Rent is $1673 (total, split between two) per month plus bills. The room will be available from the 10th of June. Great housemates, neat &amp; tidy. Great location. You have your own split system heating &amp; cooling. The room itself is large, as pictured you can see my king size bed fits well and I’ve also got some drawers to the right hand side. The BIR space is huge also.